Footballers and coaches of the future are being offered the chance to join a free three-day course at Wrexham Glyndwr University and boost their skills. To celebrate its Football Coaching and the Performance Specialist degree, the university’s Easter Football College is open to anyone aged 16 plus and living in Wales. The college – an annual highlight of the university’s spring calendar – takes place on April 15, 16 and 17 from 9.30am to 12.30pm at Wrexham Glyndwr University Sports Hall. 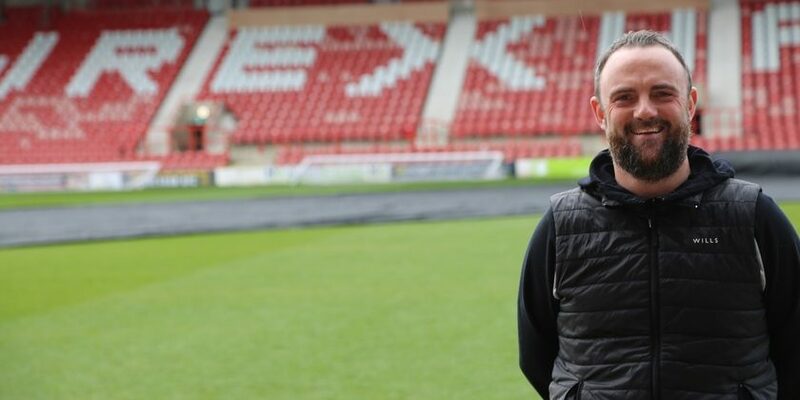 The course, funded by the North and Mid Wales Reaching Wider Partnership, is led by specialists in the field including Wrexham Glyndwr University lecturer in Football and Coaching Science Chris Hughes. It will introduce its participants to coaching and football science, develop their coaching and planning skills and help them learn about the benefits of community sport development and the importance of creating strong relationships through sport. Organiser and university Widening Access Coordinator Sarah Gaffney said: “The Easter Football College is a wonderful free opportunity for anyone living in Wales who is interested in football to take part in. Chris added: “The course also gives you the chance to see what studying with us is like – our students find themselves at the heart of some really exciting events, like the recent Wales friendly in Wrexham where they were talked through match preparations beforehand and got the chance to analyse the game first-hand.